Change the person, change the family, and change the future family. 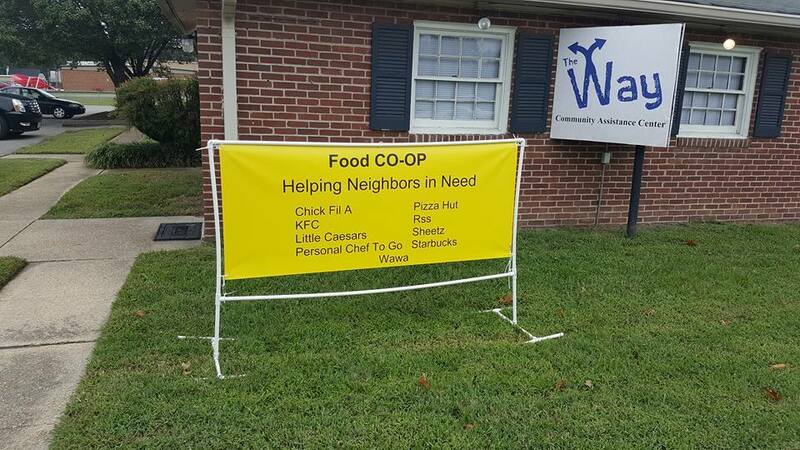 The WAY is a non-profit organization located on the outskirts of the city of Richmond, where many in the community are struggling with hunger, unemployment, homelessness, and drug or alcohol addiction. The WAY aims to help people affected by these situations by providing immediate assistance when necessary, but this assistance is followed by a plan to help improve their lives for an extended amount of time. The WAY has set a goal to help teach those who receive assistance how to become more self-sufficient therefore being more impactful on their lives and the community as a whole. The WAY's motto is "change your direction, change your life." Many people in this community that are looking for assistance would like a hand-out, where The WAY is looking to provide a hand-up in life. We accomplish this goal by using food donations as a stepping stone to more in-depth assistance within the organization. After receiving immediate assistance at The WAY, the policy is that to receive food you must also volunteer your time to helping the organization. In doing this people who start to volunteer learn many employable skills such as teamwork, organization, communication, leadership, and patience. This helps to accomplish the long-term goal of teaching those in need how to become self-sufficient by entering (or re-entering) the job world. These statistics demonstrate why our community so desperately needs help. The WAY aims to break the cycle of crime and poverty and show people a better way to live. The WAY aims to help anyone looking for assistance by helping with an immediate need, but also by becoming part of their lives. The WAY is different from other food bank organizations because we don't just hand out food, we will help those receiving assistance to develop a plan so that one day they will no longer need hand-outs from a charity because they will be able to provide for themselves. This structure allows The WAY to greater impact someone's life and the surrounding community. The WAY has many sponsors to help keep our mission alive in this community. This includes places like WAWA, Sheetz, Starbucks, KFC, Little Caesars, Pizza Hut, Chick-fil- A, Ukrops Bakery, Kroger, and Personal Chef To Go. These places donate their leftover perishable foods and the people who volunteer drive all over the city to collect these items. If we have more volunteers we will be able to reach more people through collecting and distributing more food, and hopefully start to rebuild this community as a whole. Join us now to help your friends, family, and neighbors in need; The WAY needs more sponsors, volunteers, donations, and time to keep this organization alive and thriving.